This entry was posted on March 6, 2019 at 5:35 AM and is filed under the bad. You can follow any responses to this entry through the RSS 2.0 feed. You can leave a response, or trackback from your own site. The major parts of the original film take place in an apartment. It is about an accused meeting his lawyer just before a witness has to testify against the former in a murder case. But the film is so gripping and engrossing. There are recounts by the accused about what actually happened. And at different times, right when you think you have a clear picture of what had happened, a different hypothesis comes up and the tables turn. This happens a few times and there are twists that you don’t see coming until the very end. my comment can be deleted if you feel it reveals any thing that exposes the movie secret!! They may also have tweaked things a bit and changed the respective gender of the accused and the lawyer. This would enable Pannu to get a substantial role as the accused. Or it may be more faithful to the original. plex audience and most of them seen ‘Invisible guest’ …. There is something about that look from Bachan Sir, that, well, if he plays that particular character I am thinking of, then he completely nails it here. That condemning stare from that character stayed in my mind even weeks after having watched the film. Either way, there are 5 main characters in the film, of which there are only 2 that Bachan can possibly play. And both of those characters are very interesting. looking forward, pretty effective poster . An arresting image of Bachchan. He can still give goose-bumps to the young in a close-up even with an age-ravaged face. Best part is when you read “Maaf kar dena…”…you read like Amitabh the way he speaks. Am i the only one with this experience? Agreed Naveen. I experienced the same. Really surprised to see Red Chillies producing this. Way to go. This is spectacular. Almost every scene has Tapsee and Big B doing superb acting. wah, saara suspense to poster waalo ne khol ke rakh diya. Sujoy should terminate their contract and ask for his money back. A change of perspective can change the whole story! Will Badal Gupta find the truth from the depths of lies? The mystery unfolds in #BadlaTomorrow. While the critics’ review for Badla are yet to be out, the crime thriller is being highly appreciated by the few people who have watched it. 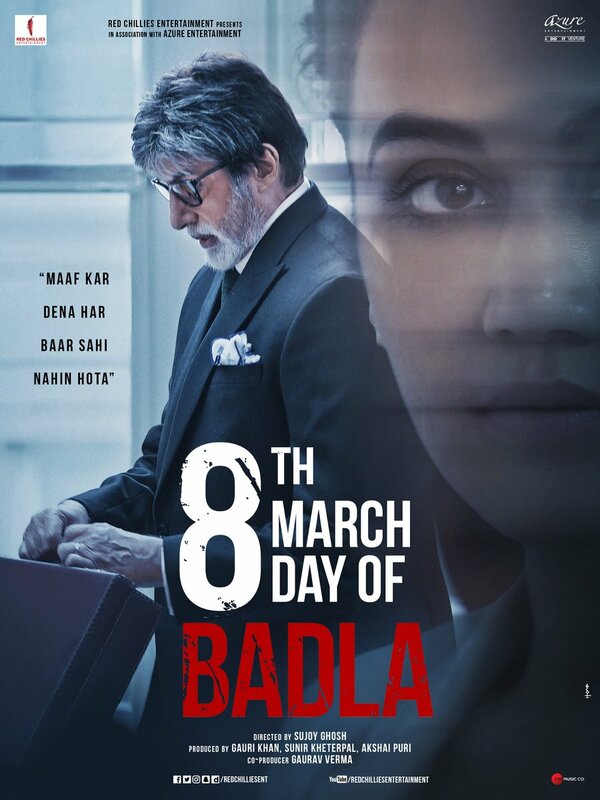 Amitabh Bachchan and Taapsee Pannu starrer Badla is highly awaited movie as the film brings back the hit pairing of the two actors from critically acclaimed Pink. 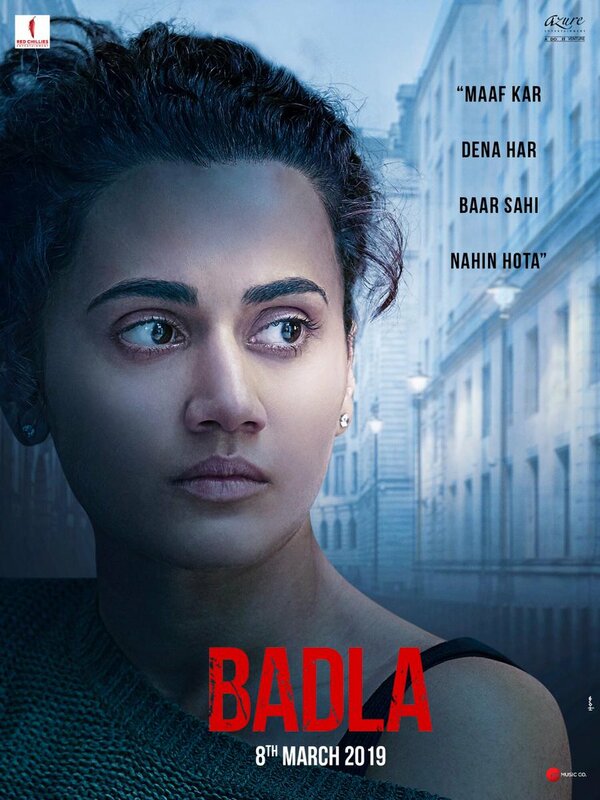 Badla is a crime thriller in which Taapsee (Naina Sethi) plays the character of a woman, who apparently gets falsely framed in the murder of her boyfriend. Her character has a husband and daughter also in the movie. On the other side, Amitabh Bachchan (Badal Gupta) is seen as a highly efficient lawyer, who takes up Naina’s case to fight in favour of her. The trailer of the film looked intrigue, and impressed the viewers. While Badla is slated to be released on Friday across India and UAE, some have already watched it during a special screening. The critics are yet to make their reviews out, but the crime thriller is being highly appreciated by the few people who have watched it. 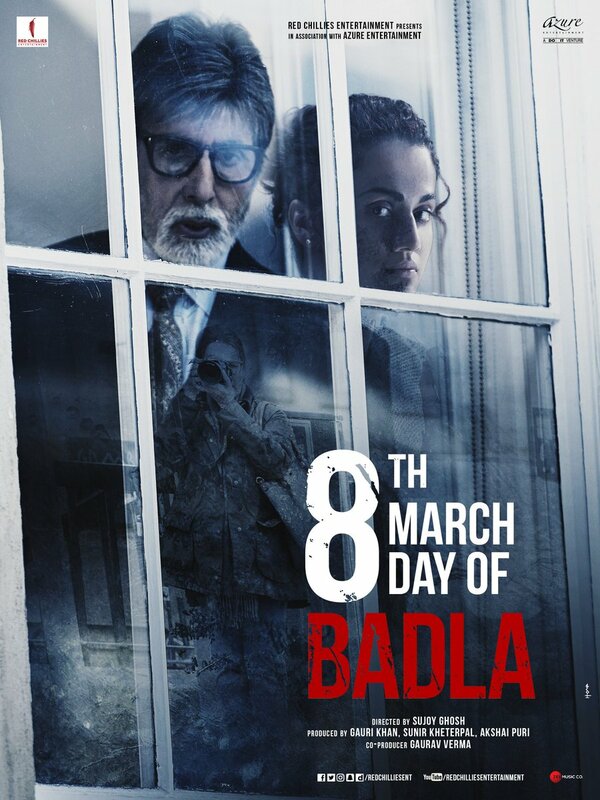 A number of tweets have come in, praising the story of Badla, and also Big B, Taapsee’s performances. Directed by Sujoy Ghosh, the movie is being called an edge-of-the-seat thriller with some extremely unexpected twists and turns. 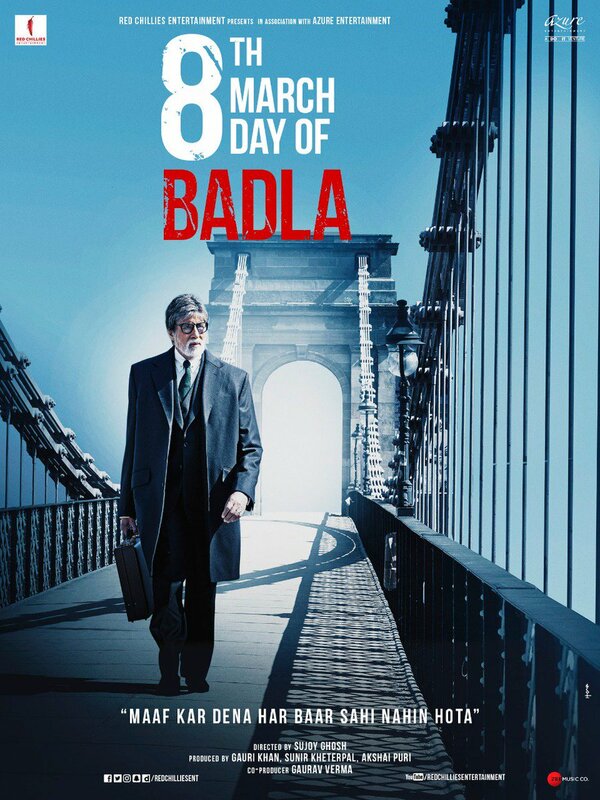 “Saw #Badla last night, was so sad when it got over! it kept me at the edge of my seat the entire time, the journey SO exciting ! Thank you @sujoy_g for making this! what a role @SrBachchan & @taapsee @RedChilliesEnt @iAmAzure ‘s got a winner and HOW,” tweeted Zoa Morani. 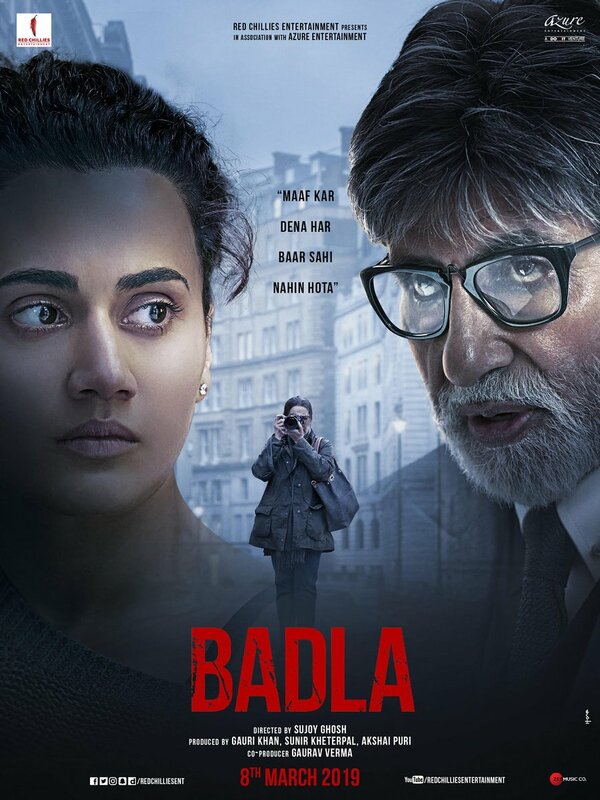 “Just watched #Badla What an amazing suspenseful film. @SrBachchan and @taapsee keep you riveted wanting to find out the truth!! Way to go @sujoy_g here’s to another gripping Kahani from you,” tweeted Tarun Mansukhani. The murder mystery is being highly recommended, and has been declared as a must watch movie by the select few. 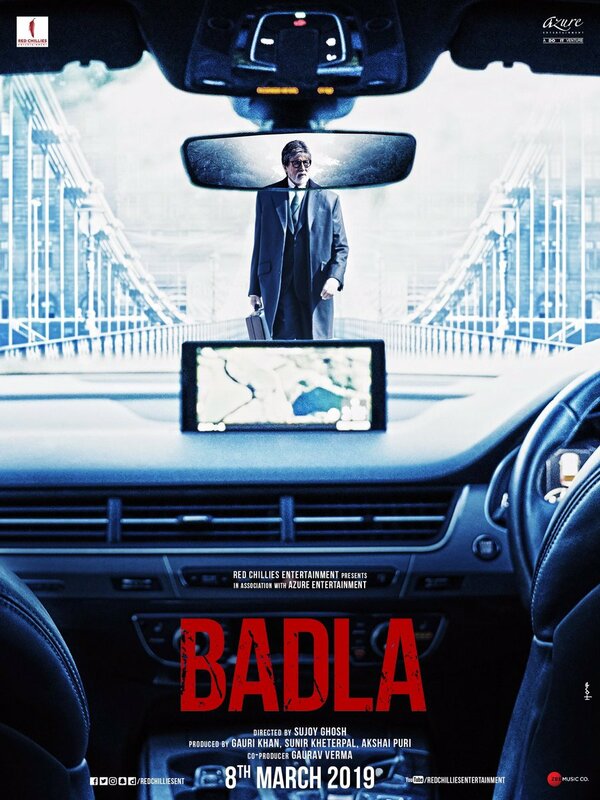 Well, fans will have to wait a little more to see what critics have to say about Badla. Stay tuned for Badla critics’ review and rating. 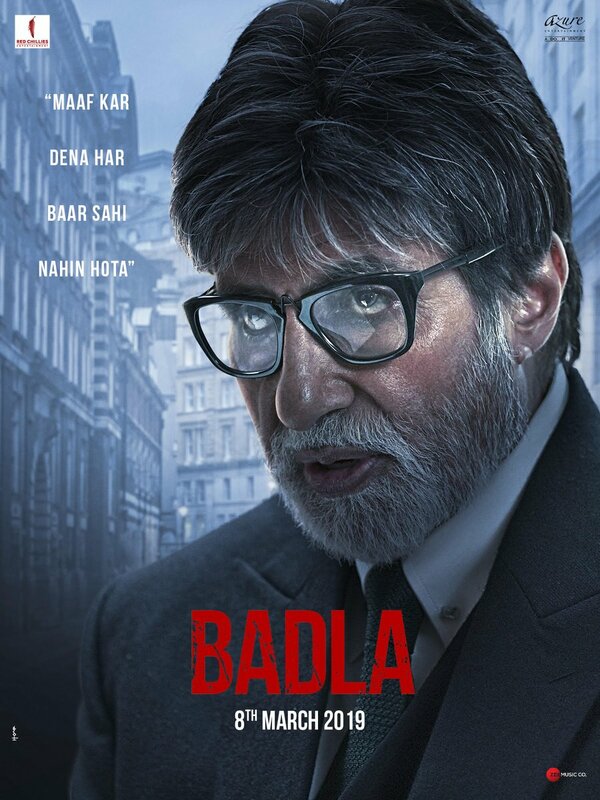 Watched BADLA yesterday, Outstanding thriller film. Brilliant performance by AB SIR as Badal Gupta . Awesome performance by Taapsee, Amrita Singh , Kudos to Sujoy Ghosh and TEAM. Glad you liked it. Do read the analysis that Sanjana provided in the box office thread. watched it yesterday , Superb suspense and brilliant performances by Bachchan, Tapsee and Amrita Singh . The quotes from Mahabharat were immensely pleasing to my ears. Once you know the truth and rewind back to the reactions , you understand how good these artists are. I was a bit apprehensive about having the movie set in Britain, but I guess in the end it did not matter. Planning to watch Invisible guest this week. Seen ‘Invisible guest’ so no urge to watch Badla. From some people heard, Tapsee was inadequate as femme fatal and if and only if Tabu was there instead of her movie would have been raised much higher. Vaddiyan hain Bliss, Jai Shiv Shambhu ! I think Tabu is very good as a Nazakat bharee hui with a tinge of coldness, kind of like Shyarana Shareef badmaash. The character here needed a Taapsee, or Priyanka or may be even Rani/ Kajol. OT- The Bachchan fan in me was upset when Tapsee was getting an upper hand in the beginning, and then he smacks her down by the -two types of client and blah blah , and then saying do NOT try and be smart with me, because you are not. Kasam sey, Bada dil khush hua . tried watching Invisible guest, watched it till the car accident and shut it off.. could not take it any more ..
Jab Bachchan ko dekh liya uss role mein then it all seemed so stupid .